I am halfway through the 21 Day Fix program, and I have to say I’m torn between how I feel about it! I really have not been 100% committed and I think that shows in my results so far. I love the DVD workouts, they are really motivating and give you a killer workout, and it makes the time go by fast! This week I did the Dirty 30, Lower Fix, Upper Fix, Cardio Fix and I did Hot Yoga at my own studio. I love doing hot yoga over the weekend! It’s like releasing all the stress and toxins from the week while also getting a great workout in and lengthening all those muscles that were starting to get tight from the crazy workouts! I would totally recommend it to anyone. And I would also recommend sticking around for at least 3 classes before you knock it, because I KNOW the first class can be overwhelming and unnecessarily hot. But once you get past the first two classes, you’ll start to welcome the warmth and the sweating that comes along with it, and you realize that it helps you to conquer poses you never thought you’d be able to conquer, and you realize that the pain you usually get in your knees when you try that one pose isn’t quite as painful when your body is completely warmed up. TRUST ME, it’s worth a try. ANYWAY, let’s talk about my meals. They’ve been getting better, I think. 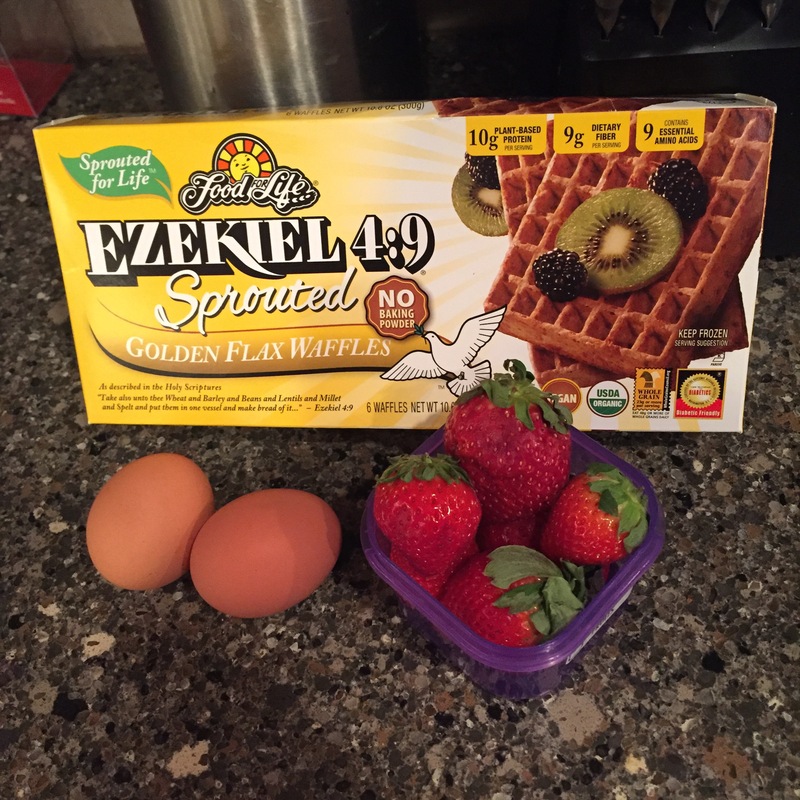 I found these Ezekiel sprouted flax waffles that I’ve been eating for breakfast. Although, I’m not going to lie, they’re like a 2/5 on taste factor, compared to their original counterpart, the Ezekiel bread, which is like a 4/5 on taste factor. I appreciate the variety in products, but come on. You nailed the bread, why can’t you get the waffles right?! MOVING ON. This morning I made a single waffle with scrambled eggs and fresh strawberries. MMmmmm. ALSO FOR ALL YOU TRADER JOE CRAZIES – have you seen their Olive Oil spray?! I use this for so many things, and I love that it is such an easy alternative to Pam. It’s 0 calories and it’s much easier to just use a quick spray than to accidentally pour way too much olive oil into a pan. I used this for my scrambled eggs this morning. What do you think? This is a trick my Beachbody coach, Sharon, taught me. Use a ziplock bag (I used cling wrap since I was eating it here) to line the containers as you measure out your food. That way, the containers stay nice and clean and you don’t have to clean them 8,463 times a day!!! Why didn’t I think of that?! It’s so simple, yet ingenious. 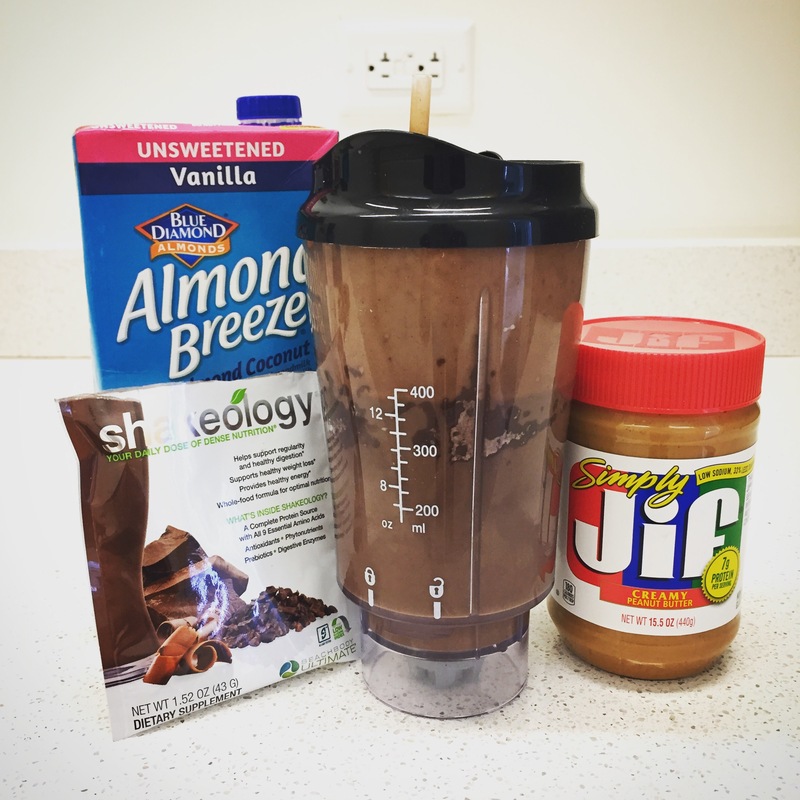 In the beginning I ordered the variety sampler pack of Shakeology. I’ve tried Vanilla, Vegan Vanilla, Chocolate, Vegan Chocolate, Caffe Latte, Strawberry, and Vegan Tropical Strawberry.. I still haven’t tried the green berry yet. But so far most of them have been pretty good! I’ll rate them once I’ve tried them all, but I think i’m going to make my next order strawberry and/or chocolate and/or vanilla. OK, so maybe I haven’t made up my mind yet. 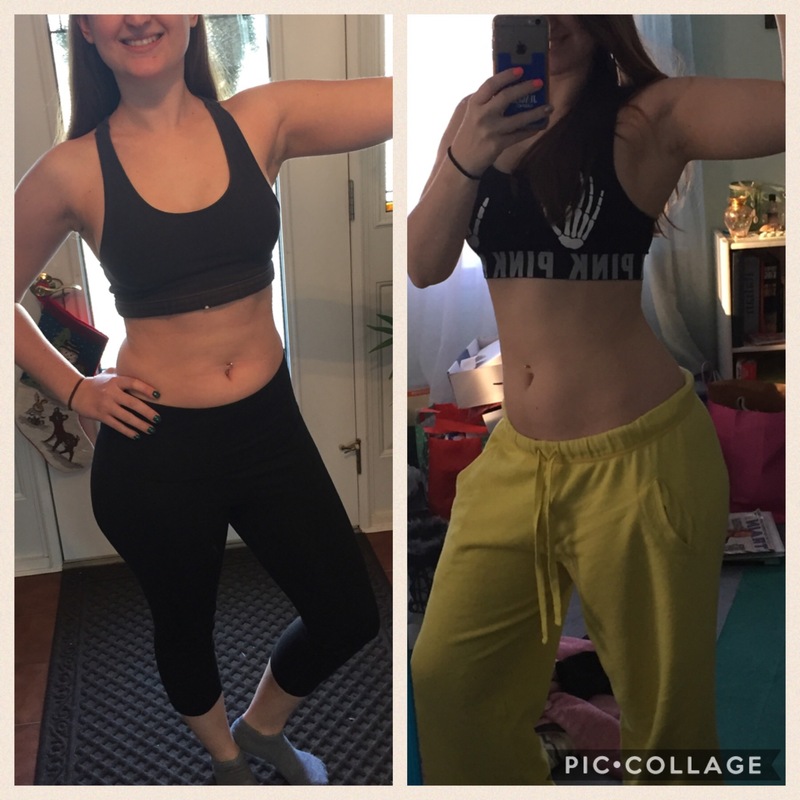 Sometimes, it’s good to take a quick picture to remind yourself that you are making progress, however small it may seem. I can tell that I’ve made some small changes, I feel and look a little less bloated. My goal is to see those muscles pop a little more, including my “baby biceps” as I like to call them.